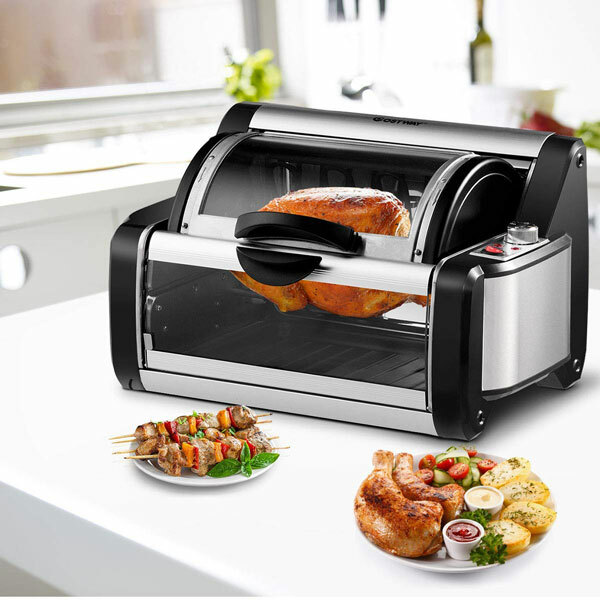 Meet the Costway Horizontal Rotisserie Oven: a cooker with bake tray and rack that lets you make all kinds of delicious meals for your guests, including chickens and kebabs. It comes with adjustable heating elements. The oven has grill and rotisserie modes. It has a timer that can be set up to 90 minutes. The oven has a heat-resistant glass door. Its accessories are detachable.